Personal finance and wealth managers are looking over their shoulders these days. The automation that has crept into all phases of industry is getting into their space too. Machines that pick investments and manage portfolios are known as robo advisors. They use computer algorithms to manage investments, usually at a lower cost than a human advisor. Proponents say investors not only save on fees, the machines provide features like automatic portfolio rebalancing and tax loss harvesting. In a recent study of the most popular robo advisors, personal finance publisher NerdWallet picked Wealthfront and Betterment as the best overall. Both won points for their low account minimums, ease-of-use, and cool features. But some investors may need that human interaction. The Pennsylvania Department of Banking and Securities advises investors to ask seven questions before signing up with a robo advisor. 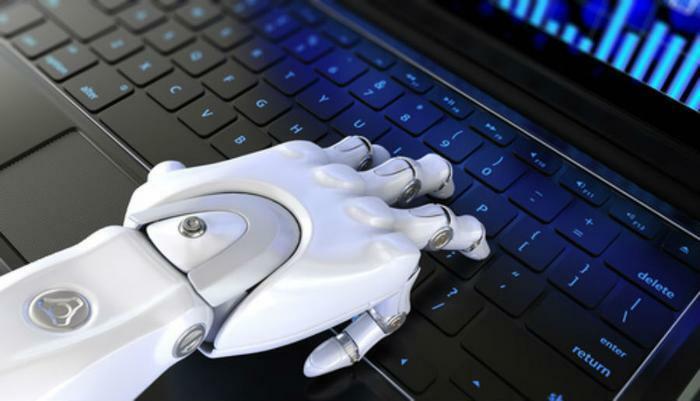 "While these online services may provide short-term convenience, investors should evaluate robo advisors in accordance with their long-term investment goals," said Pennsylvania Secretary of Banking and Securities Robin Wiessmann. And while robo advisors offer a lot of services usually reserved for wealthy investors, Wiessman says it's still important for investors to stay engaged and not depend entirely on a machine. What are your investing goals and how do you want to reach them? What are the costs of using a robo-advisor compared to using a human advisor? Is your personal information safe with a robo-advisor? Are you willing to stop or decrease the amount of investing advice you receive through human interaction? What are the different approaches to investing used by different robo-advisors? Is your money being directly invested or sent to other funds ("feeder funds") that might charge additional fees? Is the robo-advisor properly licensed? Wiessman says no matter whether your advisor is a person or a robot, investors still need to clearly understand what is being done with their money. And it may take a little sleuthing. "The relationships between robo-advisors, investment products, fees, and other companies and funds are not always clear,” she said. “Investors should always investigate before investing."